Being an older sibling is a BIG responsibility. 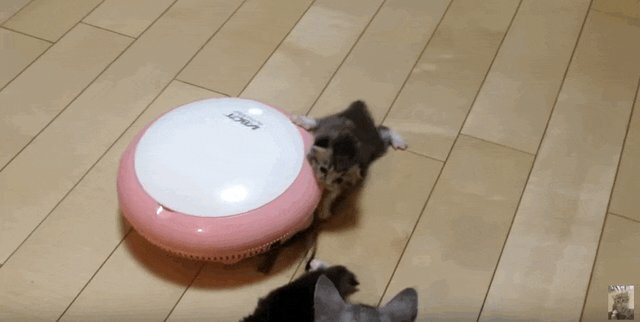 A tiny kitten was having a blast playing with a strange contraption she found, when her older brother came along and totally ruined all her fun. "Any idea how we steer this thing? No? Whatever." 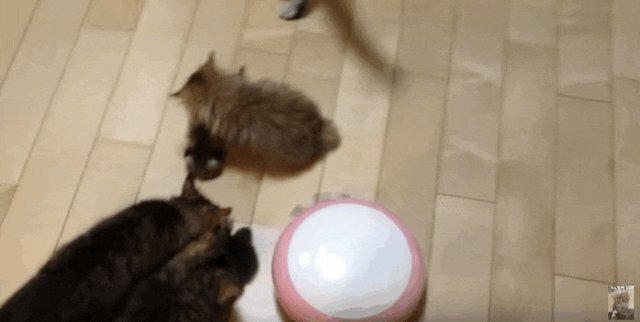 ... then she fell off, and her brother FREAKED OUT. "IT'S OK, I'VE GOT YOU, I'M HERE ... Phew. Definitely just saved your life." ... her brother was so over it. No more scary UFOs, no more fun. Ugh. Brothers. It's OK, we understand your plight, big brother kitten. Looking after younger siblings is hard work. 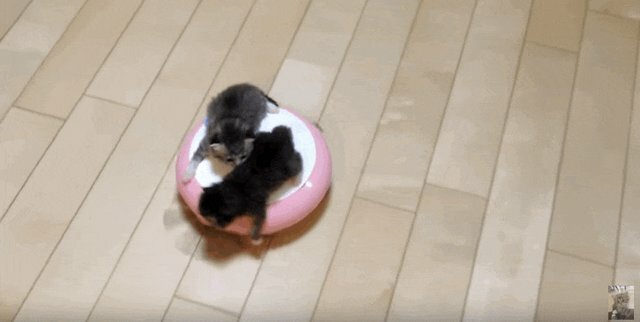 If you don't stop them from making bad decisions, like playing on top of weird moving devices, then who will? The moral of the story? 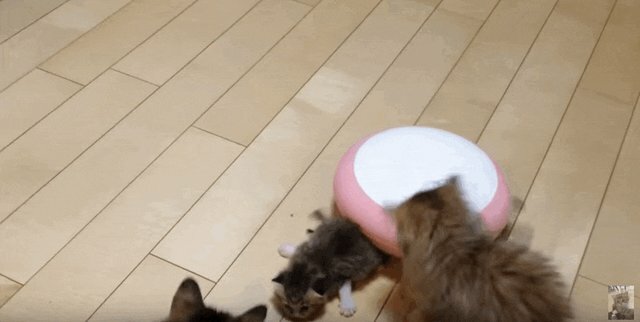 Siblings don't let siblings play on UFOs ... or, something like that.